5,000 bulbs were planted across Kidderminster which will provide a splash of colour across the town next year. 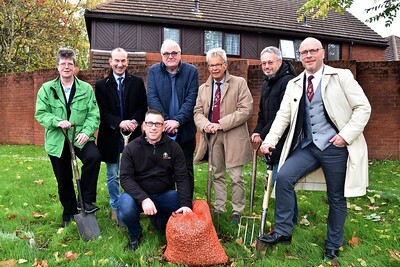 The planting was undertaken by volunteers from Oakleaf, the Town Twinning Association and guests from Husum, the German town Kidderminster is twinned with. The land at Orchard Street was chosen as one of the areas because of its prominence to the ring road, benefitting tenants of The Community Housing Group and also the wider community.